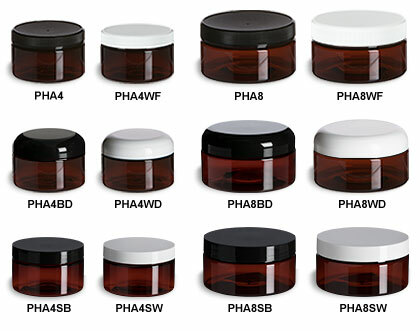 Our series of amber round plastic jars are a versatile and resilient packaging option for a wide range of products. They are food grade, extremely durable, and made in the USA. Heavy wall plastic is an excellent choice for bath and beauty products including scrubs, creams, powders or waxes. All prices include jar and lid.